Long Black dress with tattered cut bottom and slit up one side. Sleeves are tapered with a wider tattered cut bottom. 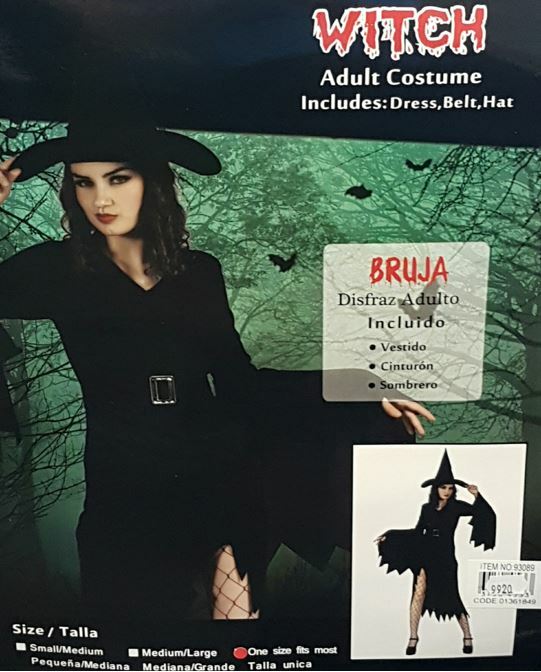 Comes with a belt with silver buckle and a matching fabric witch hat. Fits up to size 36.